Cheetah print is always in style. I personally love it and wanted to share some of my favorite cheetah print pieces of clothing/ accessories. I love these shoes, I really do. They are cheetah print on oxfords- who doesn't love them? Too bad they are out of my budget. Anyways, I already own cheetah print heels! :) You can buy it here for $88. Perfection in the form of a dress. Hurry to get this great deal! It's currently on sale for $15 but was originally $58! You can buy it here. This scarf screams fall. I like this scarf obviously because it's cheetah print but also because buying it won't break the bank. You can buy it here for $12. This pretty little bag can add a punch of style to an otherwise boring outfit. 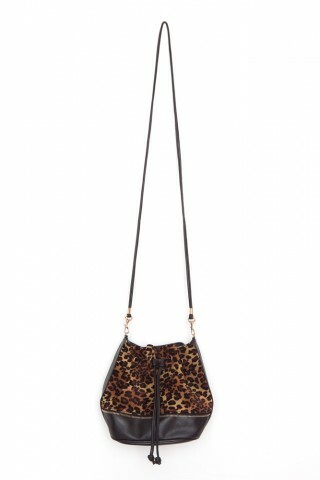 If you don't like to stand out but love cheetah print then this bag is for you! You can buy it here for $38. anyway thanks so much for following! I think I would get chucked out if I went back wearing cheetah prints, I guess people jut don't understand fashion. I saw your blog and I really like it especially this post on cheetah prints! I'm doing a blog post on cheetah print for tomorrow, please check it out! I'm following you on Google +, Do you have Bloglovin'?